rpt from * to * to last tr and 3ch to turn with, miss last tr, 1tr into top of 3ch. Turn. Make 26ch, (tail) 1dc into 2nd ch from hook 1dc into each ch to end, 1tr into tr, rpt Pattern Row as set to end. Turn. Rpt Pattern Row to last 2tr, miss 1tr work 1tr into last tr, turn leaving all dc on tail un-worked. 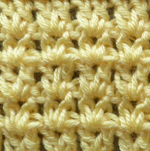 Rpt Pattern Row once. Turn. on the tail) 3dc into corner, 1dc into each ch along cast on edge to corner, 3dc into corner, 2dc into each row end, 1dc into base of 1ch, ss to first dc. Turn. 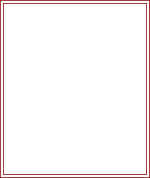 * to * around all four sides, ss to first dc. Fasten off. Weave in loose ends of yarn. Tassel - Cut 6 strands of yarn approx 6 inches long, fold in half and draw loop through space between last dc on the end of the tail with a hook. Draw the ends of the of yarn through the loop and pull down tightly to form a knot. Trim ends of tassel to make even. 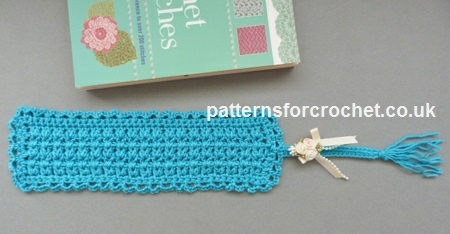 Hope you enjoy this free crochet pattern for a tasseled bookmark.